Paying for college while earning an undergraduate degree is one thing, but for psychology students facing years and years of education and training, paying for school becomes a much bigger challenge. Fortunately, between savings, loans, and scholarships, there are plenty of ways to pay for an education. Of course, scholarships — money that need not be paid back — are the ideal way to lower those tuition payments. Below, we’ve highlighted 30 great scholarships just for psychology students. 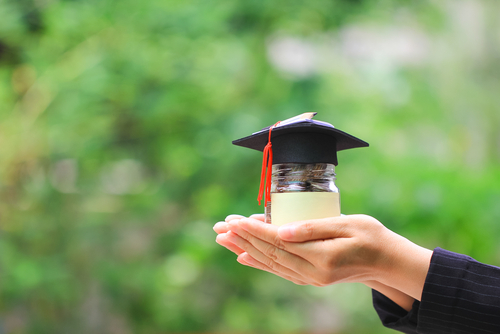 While each scholarship varies in amount, eligibility, and even prestige, each award on our list can help you save money and pay for your degree in psychology. Allyn and Bacon Publishers sponsor this annual research grant which awards $1,000 to the best research paper. Three Behavioral Health and Addiction Scholarships (maximum $5,000) are awarded each year to students who are studying psychology or a related subject such as nursing, social work, counseling, or behavioral health. To help ease the burden of tuition, the Hyman-Lambert Memorial Scholarship is awarded annually to doctoral-level psychology students in recognition of academic achievement and a personal essay. Graduate psychology students who excel at research are invited to apply for this scholarship. The winners receive research funding for an entire year, plus coaching towards a larger research grant from the National Science Foundation. This annual award — $500 for first place, $300 for second place, and $150 for third place — is given out in recognition of the most exceptional research paper written on a topic combining psychology and law. Master’s or doctoral degree students studying psychology and currently working on a research project are eligible to apply for these scholarships from the American Psychological Foundation, which awards 25 scholarships each year in amounts ranging from $1,000 to $5,000. To promote research on the causes and treatment of intellectual disabilities, ARC of Washington Trust Fund awards $10,000 to Pacific Northwest-based students affiliated with research universities to use as seed money for future research. Filipino-American college seniors are eligible for this scholarship from the Asian American Psychological Association, which provides $500 to students interested in pursuing a graduate degree in various fields within psychology, including counseling, industrial, child, or community, among others. Graduate students studying neuropsychology are eligible to apply for the Benton-Meier Scholarship, five of which, each totaling $2,500, are given out each year by the American Psychological Foundation. Minority students who aspire to become professional psychologists, researchers, or practitioners in minority communities are eligible to apply for this $2,000 scholarship sponsored by the California Psychological Association Foundation. The Diversity Article Awards, sponsored by the periodical “Eye on Psi Chi,” rewards four psychology students for writing the best articles on a topic relating to diversity issues. Division 53 of the APA annually awards one undergraduate student and two graduate students $1,000 each in recognition of the students’ achievements in their chosen field within psychology, whether research, mentoring, community engagement, clinical work, or teaching. Sponsored by the American Mental Health Counselors Association, the $500 Donald Mattson Scholarship Award is awarded each year to graduate students who aspire to practice psychology or mental health counseling. The American Psychological Foundation sponsors this research grant of up to $50,000 for research psychologists who are currently conducting research on a topic related to gifted and talented children. This annual award recognizes those who have made a contribution to the psychology of aesthetics, creativity, and the arts (Division 10 of the APA). This $2,500 renewable award is given each year to a student who is majoring in a health-related field, including psychology, and who can demonstrate financial need and academic excellence. The Grawemeyer Award in Psychology awards a minimum of $100,000 to a nominated candidate who has proven he or shehas original and creative ideas that could significantly impact psychology. Like the Allyn and Bacon Award listed above, the Guilford Award honors three psychology students with monetary awards of up to $1,000 for the best paper written on a specific topic. Undergraduate juniors and seniors who are studying psychology are eligible for this scholarship which is sponsored by the Arthur J. Gallagher and Co. insurance firm and awarded based upon financial need and academic merit. Every year, the John Frederick Steinman Fellowship Fund awards $6,000 to deserving psychology students at the graduate level who plan to practice in Lancaster County, Pennsylvania. Psi Chi chapter presidents are eligible for this $1,200 scholarship which rewards a candidate’s exceptional leadership skills. In an attempt to increase the number of minority professionals in psychology, the American Psychological Association sponsors the annual Minority Grant Program for students currently in postdoctoral studies in psychology. This prestigious $15,000 award from the American Psychological Foundation is given annually to a graduate psychology student who has proven to be outstanding as a student focused on research relating to lesbian, gay, and/or bisexual family therapy. The winner of the Rudolf Arnheim Award, which is awarded to a student who is making outstanding contributions to creative psychology, receives both a monetary award and the opportunity to deliver the Arnheim Address as APA’s annual convention. Graduate psychology students have the chance to win $10,000 toward their research relating to the psychological pain of those with disabilities thanks to the Scott and Paul Pearsall Scholarship, an annual award sponsored by the American Psychological Foundation. The Pride Foundation awards the $2,000 Soaring Heart Scholarship Award annually to future mental health practitioners who are studying psychology or a related field at the undergraduate or graduate level, and who have lived in Alaska, Idaho, Montana, Washington, or Oregon for a minimum of one year. The Thelma Hunt Research Grant awards $3,000 each year to active Psi Chi members and students based on academic achievement and a written research project proposal complete with budget plan. Psychology students based in Wisconsin who have current membership with the Wisconsin Psychological Association, are eligible for the Walter Gleason Ph.D. Scholarship. It is awarded annually to Wisconsin-based doctoral psychology students based on academic achievement and a 500-word personal essay. This prestigious $10,000 award is open to students and working professionals. It can be used to support empirical research on any topic relating to lesbian, gay, bisexual, or transgender issues.